Just a quick comment here as outside my cozy study, autumn whips itself into a frenzy. It’s a shame the Americans don’t know exactly who their friends are. Spying on Angela, Francois and co, shows that data is collected for the sake of it – and for purposes beyond national security. For if it is reasoned that one must listen in on everybody’s phone calls, read everybody’s emails and text messages in order to catch the next terror attack in its infancy, why would one bug the phones of other “free world” leaders? Do they really believe Angela or Francois are in cohoots with terrorist, helping them plan the next massacre? I knew if I waited long enough, the world would sort itself out without me needing to waste my time and energy getting all hot and bothered about US, Italian and German politics. But the poker games underway still have no final winners. Here is a progress report from this interested blogger (who has never played poker). 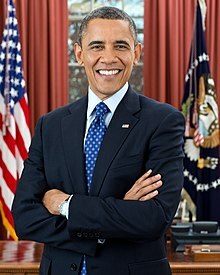 The first poker game is in the US: President Obama and his crew have proved themselves steadfast in the face of the Republican tea drinkers who thought they could hold the country to ransom to destroy the Affordable Care Act (aka: Obama Care). Since there is little hope that the ultra-conservatives have actually learned anything from their failure to keep the US closed for business and mutilate US credit ratings across the world, we must count on the voters in the corresponding states to chuck these misguided creatures out of the House of Representatives in the 2014 congressional elections. Even there I am sceptical that the electorate will act. Gee, it’s a whole year away and they’ll forget how upsetting it was when all kinds of federal agencies closed down for two weeks. But of course, the problems have not been solved, just pushed 3 months down the calendar. So the US will, once again, have the opportunity to look foolish across the globe. For whether US citizens like it or not, their country is a global power – the only remaining superpower. With this exalted title also comes a whole bushel of obligations, including those involving global security and the global economy. For those who found the past 3 weeks entertaining, let’s not forget: The Tea Party will have another chance in January and February to upset the tea trolley UNLESS the time in between now and then is used to actually write a US BUDGET! Now that would be novel! In my most recent visit to the States in August, I was reminded yet again, how difficult it was to actually find out what was going on outside of the country via TV news programs. Even CCN seemed only to show US news, not like the version we get in Europe where events all over the earth are covered and we are spared the hyped-up stories of domestic violence and political scandals that preoccupy US TV news broadcasts. If I missed the 6:30 pm world news on NBC (I think it was), that was it for the day. So why should I wonder that the country is so near-sighted and egotistical when it comes to its politics? The average Joe doesn’t know we’re out there. Moving on to another poker game being played in ITALY! Such a beautiful country, shame about the politicians. But lo and behold, I think I detect light at the end of the tunnel, a vision of Silvio doing social service instead of being under house arrest (when he really ought to be behind bars). At long, long last, the Italian justice department has actually succeeded in nailing Berlusconi for a fraction of his crimes and misdemeanors after three rounds of appeals. If you want justice in Italy, you must be a patient sort. But now the decisions are final and SB will be disqualified from holding office for at least a little while. The question remains, will it be long enough for Italy to start down the road of economic and moral recovery? A shimmer of hope came when the government ministers from Berlusconi’s own party (i.e. the party he owns) actually refused to bring down Enrico Lette’s government when Silvio told them to. That is the equivalent of a coup d’etat! Hallelujah! Now if we can just keep Silvio working in a minestrone kitchen, preferably somewhere far from Rome, maybe in Domodossola or Trieste….And of course, far away from homes for teenage girls. Again a change of scene: BERLIN. This has been the most boring poker match to date (yawn). It has taken Angela Merkel’s Christian Democrats four weeks of “exploratory” talks to decide what I (and most Germans) already knew on September 22: that they will negotiate with the Social Democrats to form a grand coalition. Seems like a grand waste of time. Mind you, their meetings with the Green Party were very amiable. Unfortunately, sufficient common ground for a coalition was not discernible. As yet. Maybe next time. Perhaps this poker game was necessary to keep the Social Dems on their toes, and to keep their expectations and demands well within bounds. Angela’s party will be after all the senior partner in the coming government and the SPD better not forget that. In fact, perhaps calling it a grand coalition is not really all that accurate. I really don’t mind living in a country where politics are boring. Germany had far too much political excitement in the first half of the 20th century for anyone here to disagree with me on this point.